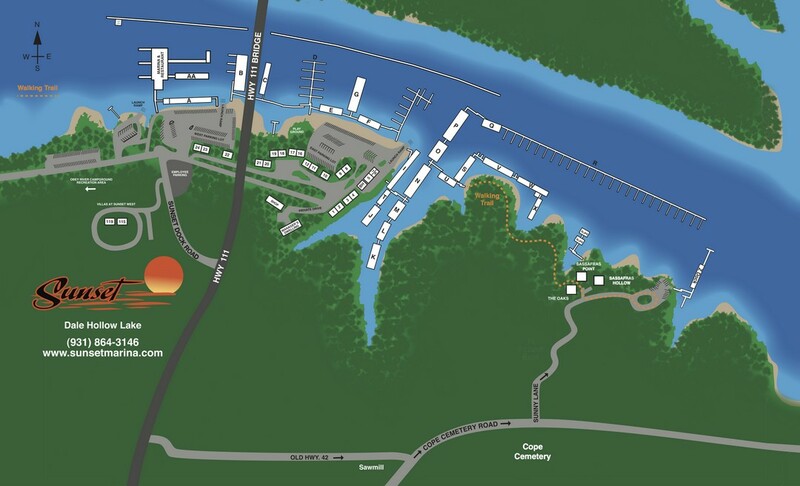 Uncovered Dockage rental is available on Dale Hollow Lake from Sunset Marina. Fresh water, Cable TV and High Speed Internet are furnished. Electric is billed monthly. Any boat (watercraft of any type) docked in Sunset’s harbor overnight is required to register at the marina office and pay the appropriate dockage fee. More information is available below, including additional services offered to Dale Hollow Lake visitors by Sunset Marina. To discuss rental terms, availability and other details with one of our professional staff members, call 931-864-3146 or email Brad or Annie. We look forward to exploring your marina rental needs with you and having you as a Sunset Marina customer.